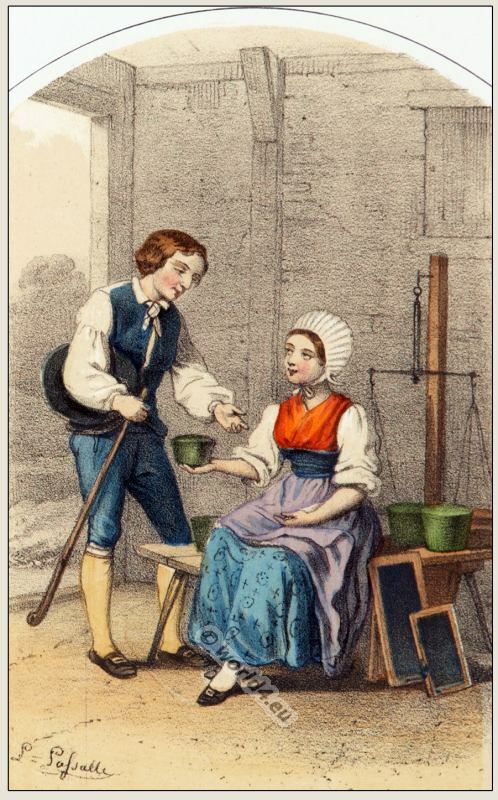 Couple in the costume of Davos Glaris, Canton of Grisons Switzerland. Home » Couple in the costume of Davos Glaris, Canton of Grisons Switzerland. This entry was posted in 1865, Switzerland, Traditional and tagged Traditional Switzerland costumes on 8/23/13 by world4.